Little entertainment is ever had in old medieval settlements. Villagers and townsfolk are hardworking people. Often they are born, they grow up, make family and die in the same place. 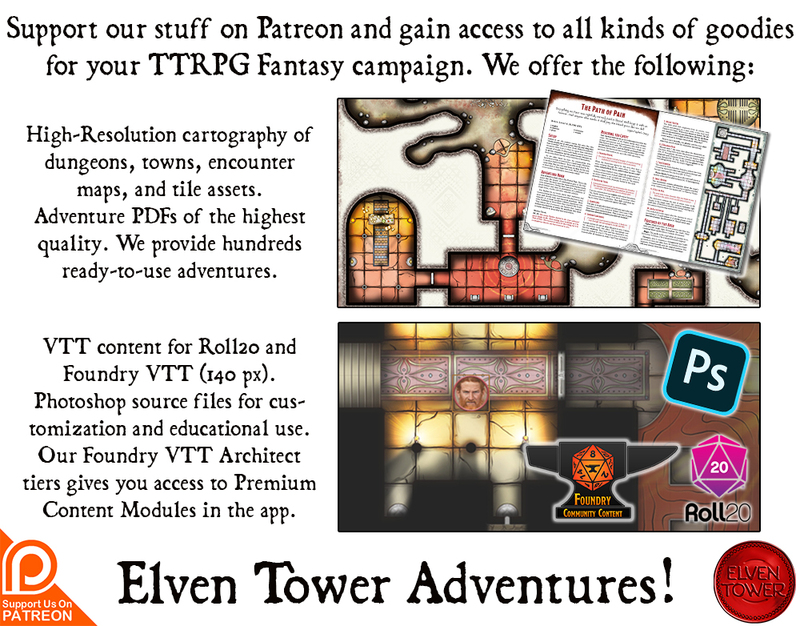 Roads are dangerous and only the guard, merchants and adventurers risk traversing them. A person has a job or profession which they perform all their lives. Towns and cities have festivals from time to time to appease the need for something out of the ordinary. People come to life and enjoy such celebrations with all their hearts because it may be the last one before a long winter or a dry summer. Fabled are the moving spectacles like a circus or an actors company, when they travel and visit towns and cities they attract lots of visitors. Lately, news have flown about the latest enjoyment ! Gild Lockhart’s Freak Show. It travels from town to town, stays there for a fortnight and then gathers up to continue its tour. It thrives on the morbid curiosity regular townsfolk have. The Freak Show raises a double red and white tent which hosts two different attractions. In the first tent, visitors can see many freaks trapped in cages. Some of them are pacific, while some others are in constant rage, insulting visitors and trying to escape. Some freaks even ask for help, offering money to visitors in exchange of their freedom. All is considered a show, and if a freak gets too violent or persuasive, one of the guards immediately silences him. 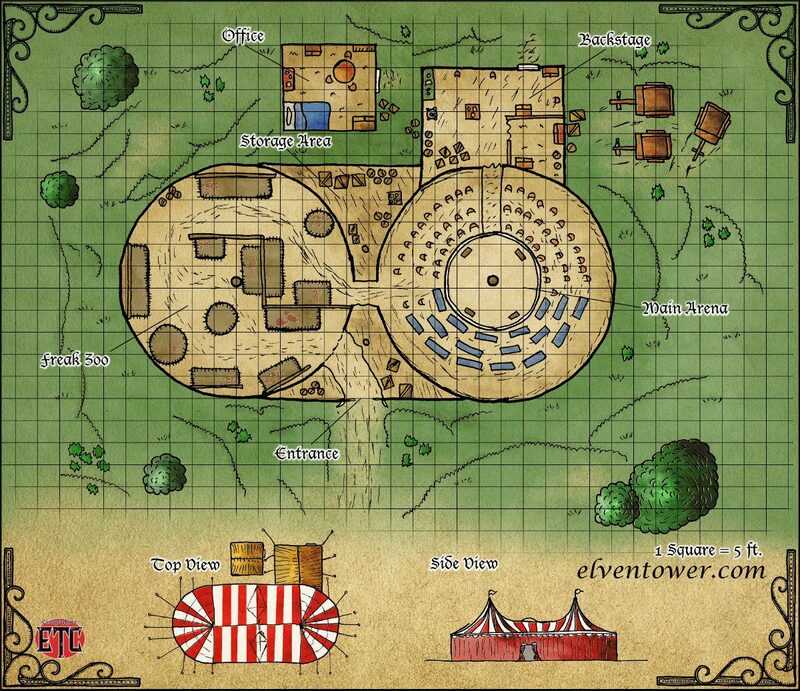 In the second tent, there is a circus arena. This is where Enchanter Gild Lockhart receives visitors with his charming personality and presents some of the less aggressive freaks. These poor souls put on a show for people’s content. The show in an of itself isn’t really good, but it is a success nonetheless because people want to see the “monsters”. Enchanter Gild Lockhart is mage (like the mage in the MM but with access to modify memory), he uses visually enticing magic and illusions to improve his show. He is evil and cruel, the type of person that would leave one of the circus performers to die if needed be. A few years back, he was working on his lab to create a polymorphing wand; his prototype didn’t work and he ended up with a faulty wand that didn’t work as intended. However the wand worked, if used on a living thing, the creature would partially transform into a distorted version of itself. The mutations caused by the wand are unpredictable and most of the time the result is a half person-half monster freak. Gild saw an opportunity here and decided to combine the wand’s abilities with his own specialty, modifying memories with enchantments and suggestions. He transformed a person into a monster and then used his modify memory spell to make him forget about the wand’s usage. In the person’s eyes, he was suddenly transformed and had no way to go back to his former life. Gild offered him a way to survive by opening his traveling freak show. He repeated this process multiple times, thus enlarging his group of deformed people. He used memory modifying spells on all of them, so none of them are exactly aware of how they became like this. All of them share the same story, they suddenly became monstrous. Some of them joined the circus voluntarily, seeing no other way to survive, others were put in cages without consent. Those are the most aggressive ones. Occasionally, a person wouldn’t transform into a monster, instead, their muscles would grow and they became overly strong. The six times it happened, Gild erased their memories in the same way and then offered them good wages and hired them to be guards. Six of these super muscular guys guard the circus and Gild. Although the lives of the deformed people in the circus is precarious, some of them know no other way of life now. They have grown to love one another and though they fear Enchanter Gild as their master, they respect him, and some of them would even protect him or the circus itself. Others, the ones who are trapped and never adapted to living here, might even help adventurers break the circus, but it would be all a matter of roleplaying the different monstrosities.